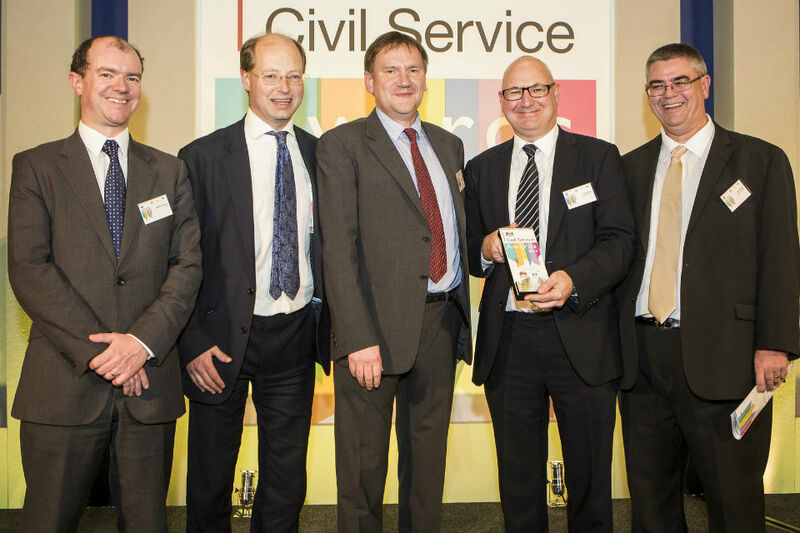 A year ago the Ministry of Justice Estate Directorate (ED) won a Civil Service Programme and Project Management Award. This was in recognition for delivering a new house block at HM Young Offenders’ Institute Cookham Wood. This was the first time ED had run a big Building Information Modelling (BIM)-enabled project with a sustained Government Soft Landings (GSL) practice. It very much set the direction for BIM across central government and shaped our later GSL work. A year on, where are we with BIM and GSL? The big development is that we now have a Head of BIM who looks after a dedicated team. They are setting up the conceptual and process infrastructure we need to run BIM, giving training to our supply chain, and making sure it runs smoothly wherever we use it. It is a big job because BIM is mandatory for all the 1000 or so projects we've run so far. What we've found is although our supply chain understand BIM in theory, not all of them have used it in practice. There's a lot of work for us to do to make sure they are comfortable working with BIM in the way we want them to. One of the big questions we had to answer was how to apply BIM across the range of projects we were running. We run some very big and complex projects e.g. building a new multi-building prison in North Wales. But have much smaller projects, like the refurbishment and redecoration of a magistrates’ court. Not all our projects are architectural. We run infrastructure projects and projects to provide or replace kit of various kinds. So what does BIM mean for small projects not necessarily requiring 3D modelling? Can you run these as BIM-enabled? Does it add value to do so? And, of course, BIM is not just about project delivery. It is also about the flow of data from delivery into asset maintenance. So we are also looking at how we can make that happen. Firstly, BIM is a massively powerful tool and we are still working out what we can do with it and what we should do with it. That means lots of experimenting, adjusting, revising, discussion, collaboration. It calls for a flexible and open approach. Secondly, that BIM can be as simple or as a difficult as you want it to be. We had so much data from Cookham Wood that we were crashing servers as we tried to move it from one place to another. But do we really need all that data? What are we going to do with it? As with all new technologies it is easy to be dazzled by the potential but lose sight of what we are trying to achieve. One of the clear lessons we learned is we must start with a clear view how we want to run our estate. We can then work out how BIM can help us achieve this, and not let the tool determine what kind of job we are going to do. Thirdly, we need to support our supply chain. BIM is actually a lot more straightforward and easier to work with than many people think. It doesn’t have to be expensive or risky for the supply chain. Quite the opposite. It can save design teams and contractors as much time and money as it does the client. But there is still work for us to do to show our supply chain how this is the case. On the GSL front, MoJ has now made GSL a mandatory requirement for all our projects. We've given GSL training to our colleagues in MoJ and our supply chain and completed our first Post Occupancy Evaluations. It has been a hugely rewarding experience. As a highlight, I would pick out a project we ran to deliver security pods in the reception of MoJ HQ. We hit on a successful process (think quick fortnightly meetings) and ended up with really good results, with buy-in and eventual satisfaction from the project’s exacting and initially sceptical stakeholders. If I could offer one piece of advice I'd say invest some time and effort in taking your supply chain along with you. If GSL doesn’t make sense to them commercially, then they won’t do it. Or they'll do it half-heartedly and charge the client as they go. Also, as much as we want GSL to be an approach to projects rather than a process, the supply chain likes a check list of things to do. Finally, a common perception of GSL is it's ‘something we do already’. That's probably true. A good FM manager/project manager/contractor will naturally already do something that looks a bit like GSL. Certainly, that is as good a place as any to encourage the colleagues to take it up.